Herniated disc, commonly known as slipped or ruptured disc, is a condition in which the central part of the intervertebral disc protrudes into the spinal canal. This typically occurs due to a tear in the tough fibrous annular ring that surrounds the soft inner core of the disc. This results in herniation of the softer material (the nucleus pulposus) into the spinal canal. Aging and trauma can predispose to disc herniations. 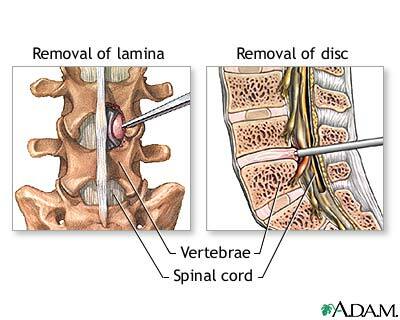 Most commonly disc herniations occur in the lowermost part of the spine, especially between the 4th and 5th lumbar vertebral bodies, and between the 5th lumbar vertebral body and the sacrum. This protrusion usually occurs to one side of the spinal canal, compressing one of the nerve roots. Impingement on the nerve causes pain, numbness, and weakness in the part of the skin and muscle that are supplied by that particular nerve root. 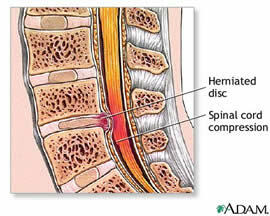 The pain syndrome associated with the herniated disc is dependent upon the intervertebral level at which the herniation occurs. Lumbar disc herniation typically causes “sciatic” type pain that extends from the back into the buttocks, thighs, and legs, usually on one side. Spine examination may reveal a loss of normal spinal curvature and decreased range of motion due to muscle spasm. Individual muscle groups are tested for strength to determine any signs of weakness. Reflexes are tested at the knees and ankles. Sensation to pin is tested in both legs. A Lasegue test, also known as straight-leg raise test, is performed to examine if any lumbar nerve roots are involved. The patient lies down, the knee is extended, and the hip is flexed. If pain is aggravated or produced, it is an indication the lower lumbosacral nerve roots are inflamed. If the history and physical examination suggest a disc herniation, the diagnostic test of choice is an MRI (magnetic resonance imaging) study. 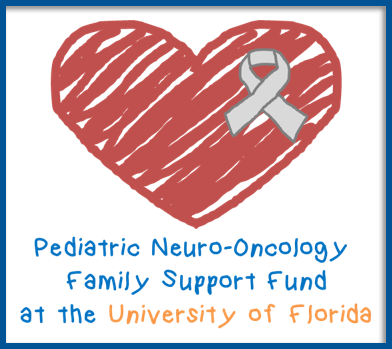 If the patient is unable to get an MRI, CT scan or CT myelography may be performed. The initial treatment for a herniated disc is usually conservative and involves non-steroidal anti-inflammatory medication and rest. Approximately 80% of herniated discs can be managed conservatively. An epidural steroid injection may be performed utilizing a spinal needle under x-ray guidance to direct the medication to the exact level of the disc herniation. This is performed either by the neurosurgeon or a pain specialist. Many physicians will prescribe physical therapy to help relieve the pain and address muscle spasm. Physical therapists employ traction, ultrasound, and electrical muscle stimulation to relax muscles that are in spasm and secondarily inflamed from the compressed spinal nerve. They also prescribe exercise programs to strengthen the back and abdominal muscles, decreasing the chances of recurrent problems. When conservative treatments fail and progressive weakness or pain develops, surgery may be necessary. Surgery involves a small incision over the spine at the location of the herniation. The muscle is separated from the bone to expose the spinal column. A very small amount of bone is then removed to expose the compressed nerve root and herniated disc material. The disc is removed to create enough room for the nerve root to exit comfortably. The incision is then sutured closed. This procedure is called a microdiscectomy. Often this operation can be performed through a small tubular retractor. This minimally invasive approach to disc surgery is usually done on an outpatient basis.